Hearing loss is strictly a problem for older people, right? Not quite. While it’s true that your chances of developing hearing loss increase with age, you can, in fact, develop hearing loss at any age. As indicated by the NIDCD, 26 million Americans age 20 to 69 have high-frequency hearing loss from direct exposure to loud sound at work and during leisure activities. And that includes 1 in 14 generation Xers, age 29-40, who already have hearing loss. Seeing that hearing loss can strike at any age, it’s vital to recognize the indicators as they’re oftentimes discreet and hard to notice. Here are 8 silent signs of hearing loss that should prompt you to arrange a hearing test. Have you ever arrived home from a deafening concert and noticed a ringing or buzzing in your ears? If yes, that means you’ve damaged the nerve cells of hearing in your inner ear. If it’s only come about a few times, the damage is more than likely short-term and minimal. However, continued exposure or one-time exposure to very loud sounds could generate permanent damage and hearing loss. If you continue to hear ringing in your ears, you should book a hearing test as this is one of the initial signs of hearing damage. And if passing up upcoming live shows is not a possibility for you, your hearing consultant can help you avoid further injury with custom-fit earplugs. Your hearing and balance are intricately interconnected. In fact, a major element of your ability to remain balanced is a consequence of elaborate structures within the inner ear. If you detect that you’ve been more clumsy as of late, the issue may in fact be with your ears. In fact, a study by Johns Hopkins University found that individuals with hearing loss were three times more likely to have a history of falling, depending on the degree of hearing loss. Your short-term or working memory is quite limited, able to manage only a few items for a short amount of time. That indicates that you don’t have time to get caught up on missed words during fast moving discussions. With hearing loss, speech comprehension suffers as you can entirely miss or misinterpret the speaker’s words or statement. This manifests later on when you can’t recollect important information. 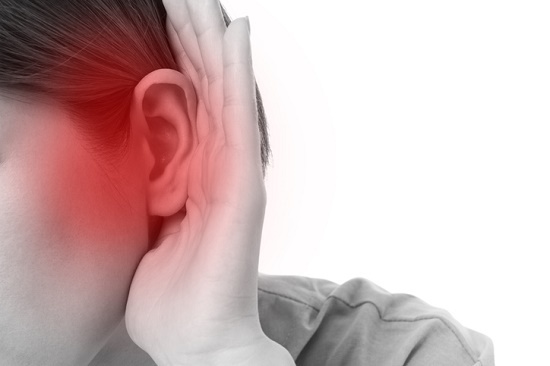 With hearing loss, you may become overly sensitive to select sounds, to the point where they cause pain or discomfort. The technical term for this is hyperacusis, and you’ll want to consult with a hearing professional if the problem continues or becomes intolerable. Just imagine spending the day working hard to figure out meaning from half-heard words and sentences and replying to questions you didn’t completely hear. That amount of attention can wear you out fast. If you observe that you’re far too fatigued at the end of the day, hearing loss may be to blame. Early stage hearing loss ordinarily doesn’t present itself during person-to-person discussions or in tranquil settings. More commonly, hearing loss only becomes an issue in the presence of background noise or in group settings. Hearing loss is most of the time hard to notice or identify as it grows progressively each year. Oftentimes, friends and family members will take note of the hearing loss prior to the person suffering from it does. However, there are some subtle warning signs you can keep an eye out for, including the inability to hear alarms or phone calls, the doorbell, or the television at normal volume. With hearing loss, you may have particular problems hearing the dialogue in shows and movies. That’s because most instances of hearing loss affect high-frequency sounds to the largest degree, and speech is a high-frequency sound. It’s never too soon to look after your hearing health. If you experience any of these symptoms, schedule a consultation with your local hearing professional.